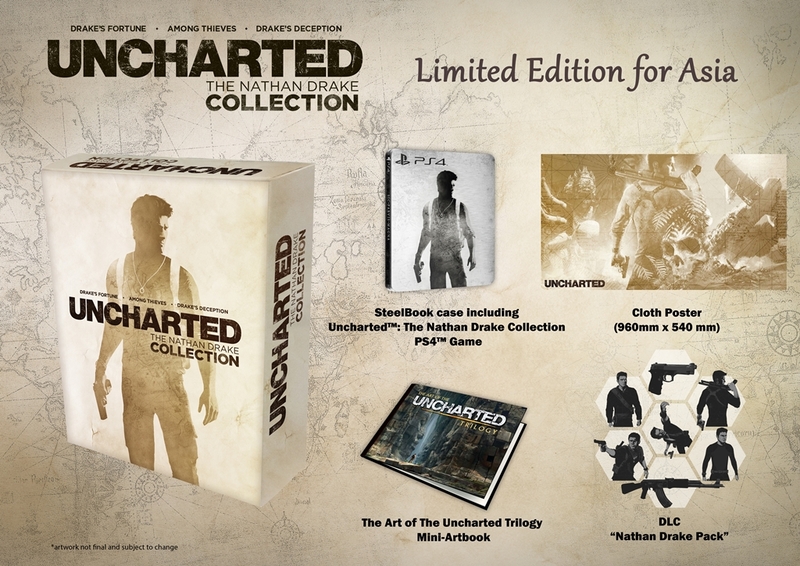 Asia is getting a real exclusive Special Edition for Uncharted: The Nathan Drake Collection! Presenting the Asia-Exclusive Limited Edition.. Unlike the European version where a sticker sheet is included, our Asia LE is getting a Cloth Poster! (96cm x 54 cm/ Approx 38" x 21"). Definitely better! 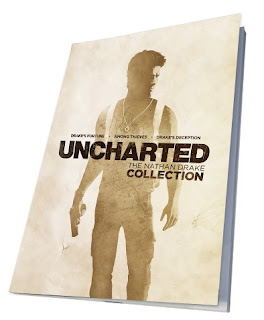 The Asia LE will also be getting a PS4 Theme, and I'm assuming it will come in a DLC voucher..
Preorders with Playstation-Authorized Dealers will also come with a Uncharted Water bottle & Journal..
Not too bad.. It's been a while since we had some exclusive preorder bonuses..
International friends, if anyone needs help in getting this, just let me know! I'm more than happy to help.. The Journal, Water bottle and DLC Pack will also come with all standard edition preorders. Excited for this? Don't forget to check out the story trailer for the collection!